Spring is a great time for picnics. 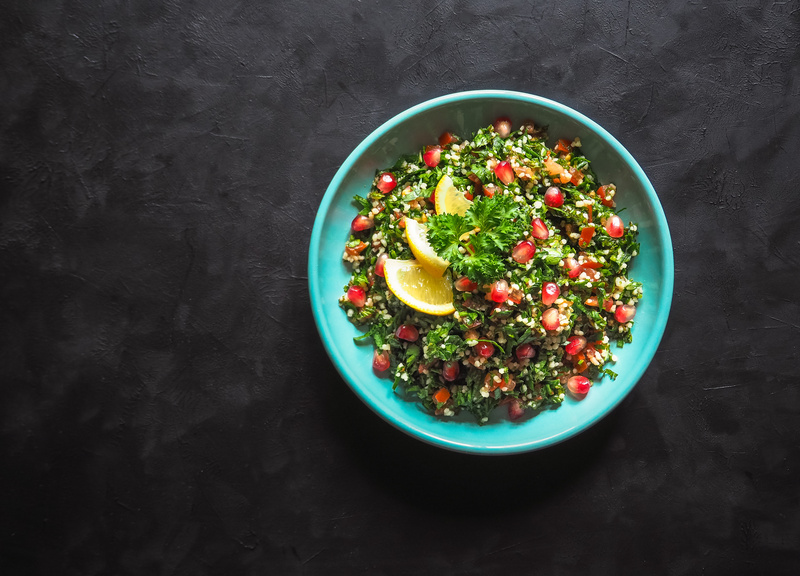 You can take this grain and dairy free tabbouleh salad to enjoy while you sit outside in the sun! Preheat the oven to 400 F. On a lined baking sheet, mix the cauliflower rice with a little olive oil. Spread out in a single layer. Bake for about 30 minutes, stirring halfway through. The cauliflower should be toasted. Let cool. To make the dressing, add all ingredients to blender or food processor. If you don’t one of those, mince the garlic first and then whisk together all ingredients in a bowl. Set aside. Once the cauliflower has cooled, mix salad ingredients together. Toss with dressing. Add kosher salt and pepper to taste! Enjoy! This salad serves 4.